What does this mean for Oculus Rift? Oculus VR and its founder Palmer Luckey are facing a very real lawsuit for allegedly stealing and misappropriating virtual reality trade secrets as well as infringing on copyrights and trademarks. 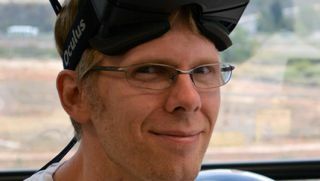 The suit was filed by game publisher ZeniMax Media and its subsidiary id Software, the former employer of Oculus CTO John Carmack. ZeniMax had already started airing out accusations related to Luckey, Carmack and unauthorized code use earlier this month. In a press release today, ZeniMax and id claimed Oculus VR and Luckey unlawfully exploited "intellectual property, including trade secrets, copyrighted computer code, and technical know-how relating to virtual reality technology that was developed by ZeniMax after years of research and investment." It's ZeniMax intellectual property that "has provided the fundamental technology driving the Oculus Rift since its inception," the release stated. Despite requests for compensation, ZeniMax said Oculus and Luckey have "refused" and continue using its IP without permission. What the lawsuit means for the future of Oculus Rift isn't clear, namely because none of the parties are talking specifics. Where does Oculus Rift stand? ZeniMax didn't say what it's seeking in monetary compensation but it has requested a jury trial in US federal court. We asked the firm whether it's seeking a halt to development and/or eventual consumer sales of the Oculus Rift, but again, we haven't heard a peep from them. As for Oculus, it had nothing more to share outside its statement, including what the lawsuit could mean for its VR hardware moving forward.